Chimney Waterproofing | Chimney Services | Chimney | Kent Chimney Inc. Brick and mortar are porous, which allows small amounts of water to enter your chimney masonry. Cold weather then causes water trapped inside masonry to freeze and expand, causing more damage. 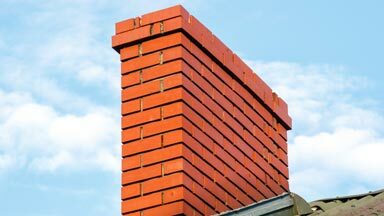 To prevent expensive chimney repairs, we recommend hiring a professional for masonry waterproofing. Protect your chimney from being water damaged. Chimney waterproofing products don’t change the appearance of your chimney, but they do protect your chimney from water penetration and harsh freeze-thaw cycles. Waterproofing can also preserve bricks already damaged. Kent Chimney Inc. is dedicated to helping homeowners enjoy their fireplaces and chimneys for as long as possible. If you are interested in our chimney waterproofing services, give us a call at (616) 949-7722. Our priority at Kent Chimney Inc. is your total satisfaction. We want your recommendation!